Older pets are often overlooked for adoption, with many families wanting younger pets that they can expect to spend years with. 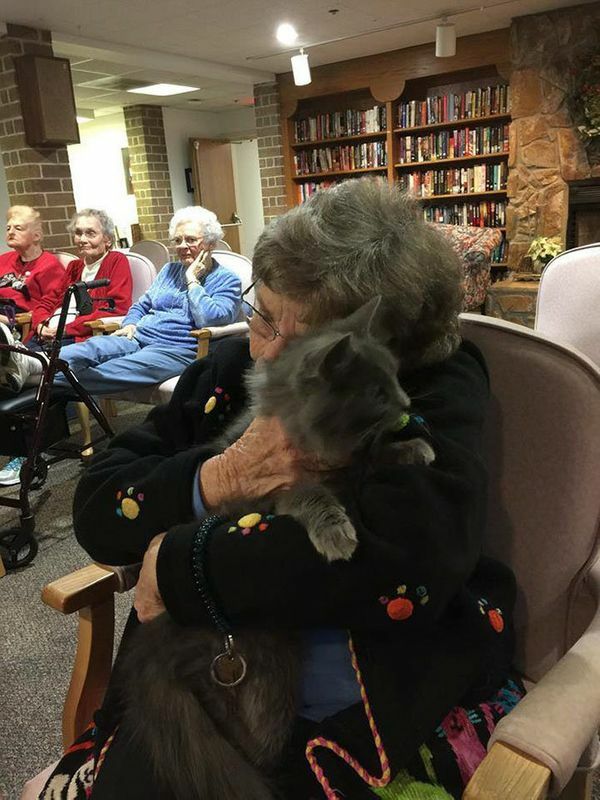 But there is one group that can appreciate senior pets … that’s senior citizens themselves. 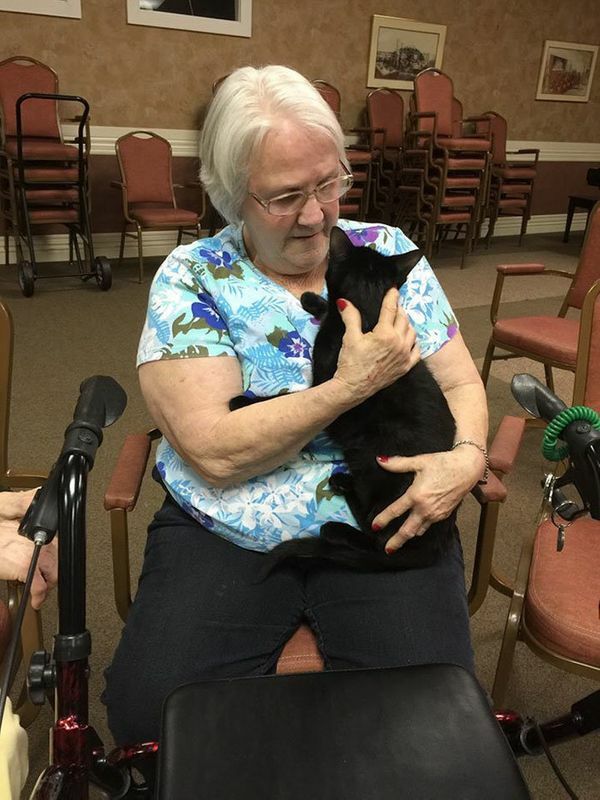 The Ohio Alleycat Resource and Spay/Neuter Clinic realized the connection that older cats might be able to make with older people. 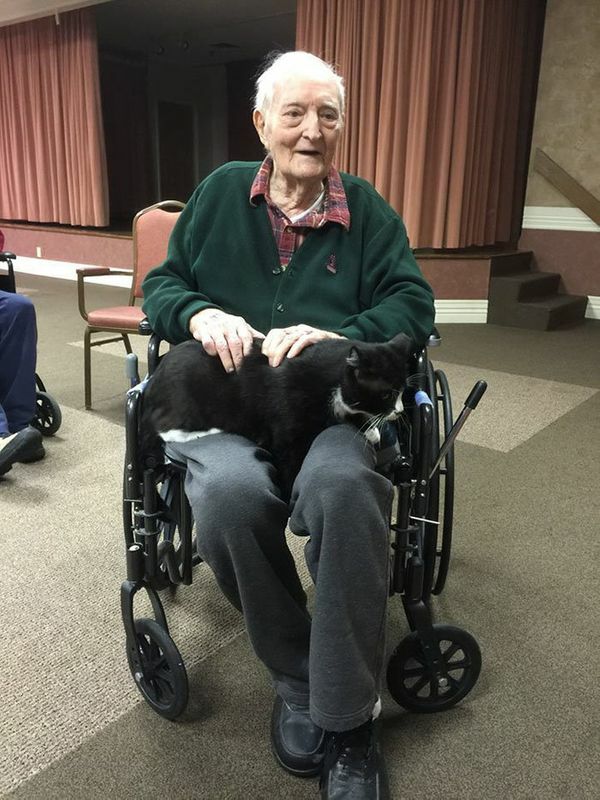 And that’s why it started the Pet Adoption for Local Seniors program five years ago, bringing cats ― age 7 and older ― to meet loving senior residents of retirement communities. 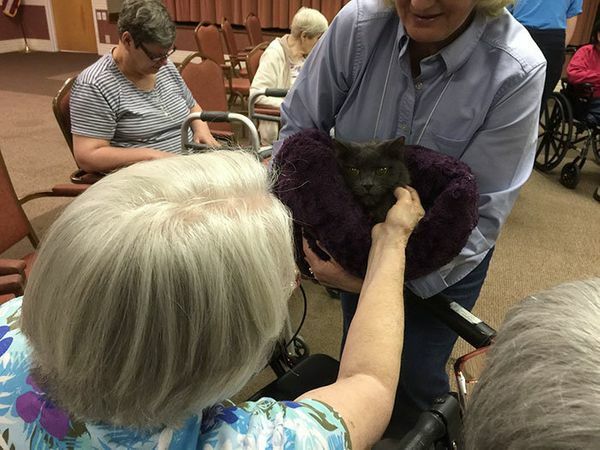 “The idea was that the seniors would get some companionship and the pets might find loving homes,” Mary Casey-Sturk, a development director for the non-profit organization, told The Huffington Post. Last week, a volunteer with the program shared a heartwarming photo from one of these visits on Reddit that quickly went viral with hundreds of comments. 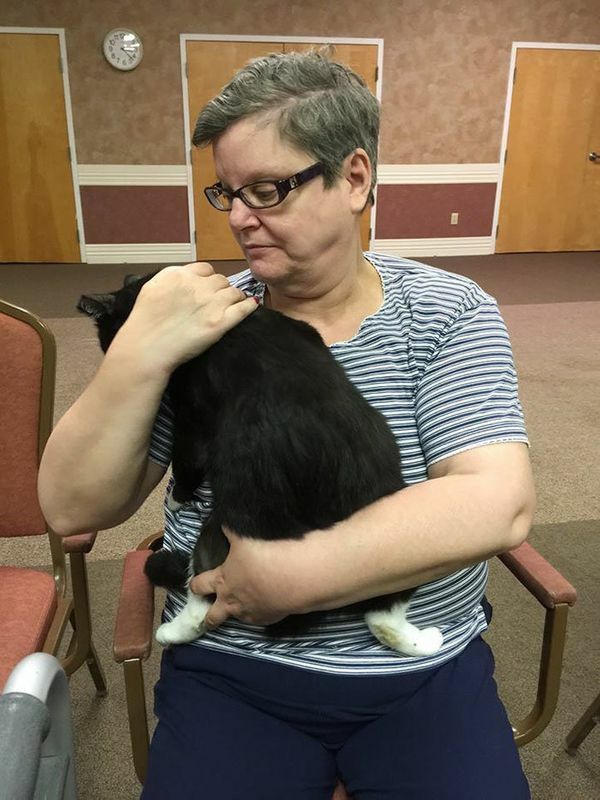 Casey-Sturk says the seniors have the option for adopting the cat they fall in love with at a low cost, as many of these communities do allow pets. But more than that, the program has helped raise awareness of the value of senior pets and 16 have been adopted in the past year alone. The organization which brings joy to so many relies on donations to keep the program going and to help cover the older cats’ higher veterinary costs. You can donate here.